Young trees require some special attention! The tree you planted on Earth Day has probably taken root and is fast becoming a beautiful part of your home’s landscape. 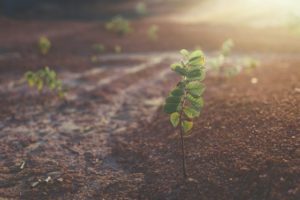 Even though you might have experience taking care of trees that have been on your property for years or even decades, you might not know how to care for younger trees. With temperatures climbing into the upper 80s and low 90s, make sure your trees get enough water. When you’re out on the lawn taking care of all of the trees, be sure to drink enough water yourself. After that, you should focus on younger trees first. A few weeks after being planted, the roots are still establishing themselves so the young tree will need more nurturing. Give your tree enough water to reach the deepest roots. Then throughout the first year of its life, you can get by watering them once a week. When the heavy rains of spring and summer come, you probably won’t need to water as much, but even so, ensure they get enough water during drought conditions. Mulch is hugely beneficial for young trees. After all, new mulch will help the tree hold water, fight off weed infestations, and keep the soil pleasantly cool. However, you should avoid falling into the trap known as the “volcano” mulching technique, where you put on too much mulch. When you plant your new tree, keep your clippers or shears close. You might need to trim the tree, but you should wait until it gets a little bit older to start pruning it. If you trim the tree too much, you could stunt its growth during the prime growing season and next year the tree may not thrive as well. This entry was posted on Thursday, May 3rd, 2018 at 12:01 pm. Both comments and pings are currently closed.